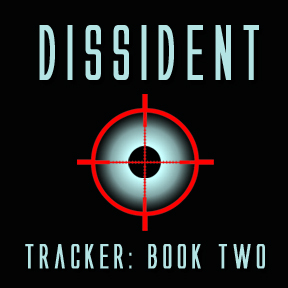 The second chapter in the Tracker Trilogy is now available: Dissident. The Runners are back, continuing in their struggle against the lethal and subhuman Trackers. As the situation intensifies, they find themselves in the unenviable position of needing help from the hated Hoarders. But years of stereotypes and bitterness do not easily melt away, for either side. To have any hope of prevailing, they -- Runners and Hoarders alike -- will first need to confront their own prejudices and distrust. The Tracker was sprawled on its back in the middle of the room, arms and legs splayed out, staring at the ceiling with unseeing eyes. Its mouth hung open, slack-jawed, and Amos could almost believe that it looked... shocked? Disbelieving? They approached it with caution, ready to attack at the slightest provocation. There was none. The Tracker was dead, lying in a growing puddle of its own blood. The left side of its head was crushed as if it had been struck by one of their trucks. They saw nothing inside the room that could account for the barbaric damage done to the Tracker. Don pushed at its head with his knife, unwilling to touch the pallid flesh with his own hands. It rolled to one side, as limp as a boneless fish, its one remaining eye focused on nothing. Amos knelt on one knee beside him, staring at the body. “The last time this happened, it was another Tracker that killed it,” he warned. 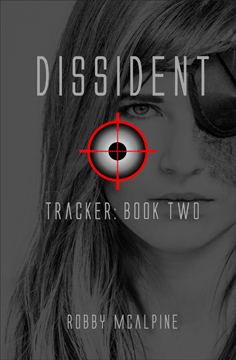 The second novel in the Tracker series: Dissident. 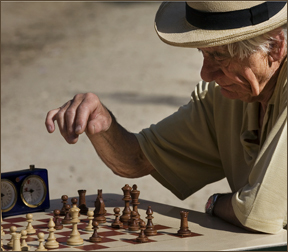 In the not-so-distant future, a post-apocalyptic society struggles to overcome the mistakes and prejudices of the past. Failure could mean their annihilation. The Enclave is the impenetrable symbol of the Hoarders' dominance. From behind its massive walls, they continue their campaign to Implant the innocent, while the subhuman Trackers hunt down and exterminate the unfortunate. The only hope for the small band of Runners is to infiltrate the Enclave, and take the fight to the Hoarders. In order to do this, they will need help from inside the Enclave: Hoarders willing to work alongside them in a battle against their common – and malevolent – enemy. The enigmatic Mateo, cryptic and secretive, claims to know the way. But will he help them?